Easy watermarking for PDF files. Is there a better alternative to PDFWatermarker? Is PDFWatermarker really the best app in Word Processing category? Will PDFWatermarker work good on macOS 10.13.4? 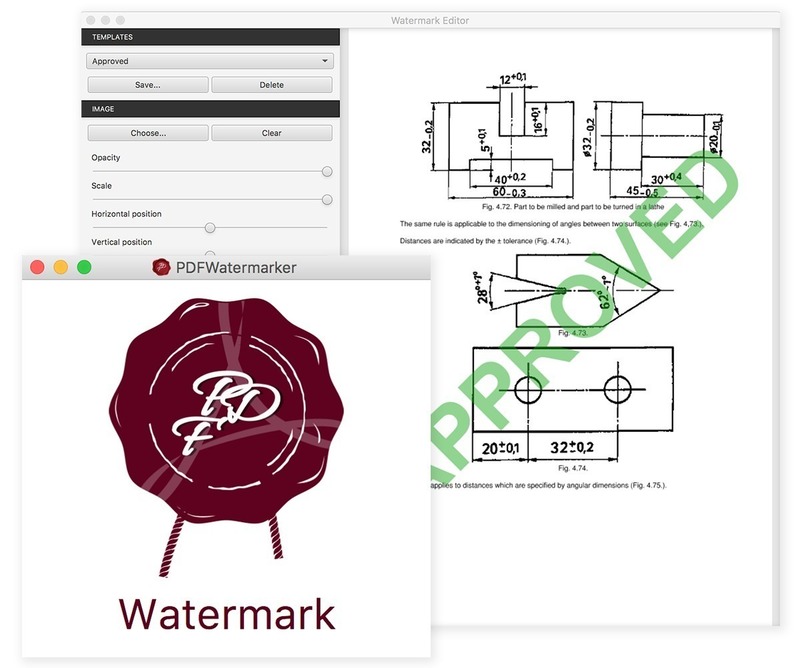 PDFWatermarker creates watermarks and adds them to your PDFs. Watermark templates can be saved for later usage, and some common templates are already included. Both images and text can be added to the watermark. Fonts, color, size, opacity, position, and rotation are also easily set using the watermark editor. PDFWatermarker needs a review. Be the first to review this app and get the discussion started! PDFWatermarker needs a rating. Be the first to rate this app and get the discussion started!